I speak to CSR and Community Relations Managers all the time – in lots of different countries and in lots of different industries. I see fantastic diversity in the community support that is being given by our corporates all over the world and well developed community investment strategies. Yet most of the people I meet face the same challenges…..they’ve got the strategy, they’ve launched the initiatives but…. How do they track what goes on right across their organisation and out into the communities they connect with? How do they prove return on investment to their board? How do they maximize the use of their limited resources and budget? These problems manifest in real daily struggles. Well-paid, senior managers are routinely bogged down in the admin of managing their initiatives rather than driving them from the helm, and collating and preparing reports is a nightmare. Indeed, the life of the CSR or Community Manager is not an easy one – limited budgets expected to stretch far (both physically and metaphorically) and there is now constant pressure to convey value-add to the bottom line. Yet, at its core, the solution is relatively simple – collect more data and communicate it better. This leads to a positive feedback loop and a win-win for both the company and the community. So, how can more data capture and better reporting be achieved? ‘Easier said than done’, I hear you say! Well, I see lots of approaches. Here’s my comparison…. In my experience CSR managers don’t automatically look to proprietary software to solve problems. I’ve found that technical innovation is not something that’s naturally front of mind in the CSR sector, and often software is perceived to be too expensive with ‘I have no budget for software’, the standard line of the frustrated CSR/Community Manager. The new reality is that, with the advent of cloud based software, the costs of proprietary software are plummeting and recent surveys* show over 90% of large businesses embracing cloud software. 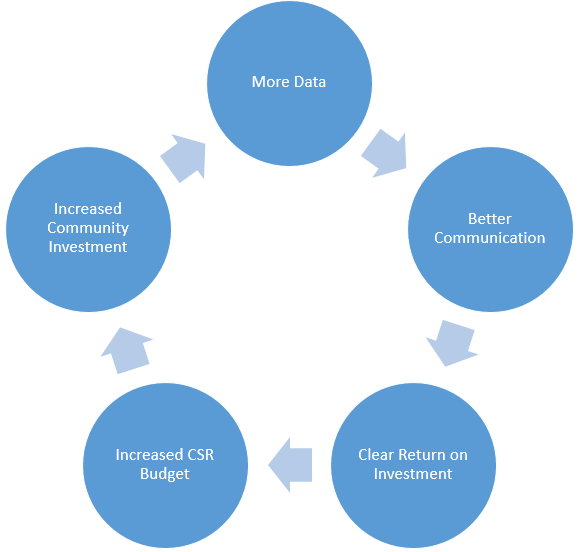 The good news is that cloud-based software is perfect for CSR managers – enabling easy oversight of community activity in one country or many scattered across the globe. Automated data capture and easy reporting also enables staff time to be channelled into more productive tasks. If a software solution could reduce you or a colleague’s admin time by 50%, what value could that person add to the organisation through more direct community outreach? If you could achieve feedback from over 75% of participants or recipients with automated software feedback tools, what value would that allow you to convey to the board, employees, and the wider community? 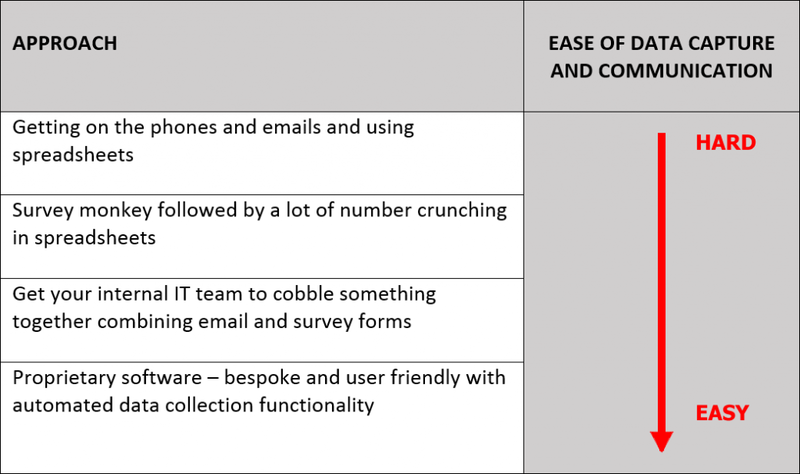 With those two questions answered, the choice to use cloud based software to manage CSR seems clear! Neil Macdonald is CEO of Thrive CSR and ardent advocate of technology innovation in the CSR Sector. If you would like to learn more about how Thrive’s cloud software can assist CSR and Community Relations managers, you can read more on our website or get in touch directly with Neil at neilm@thriveapp.co.